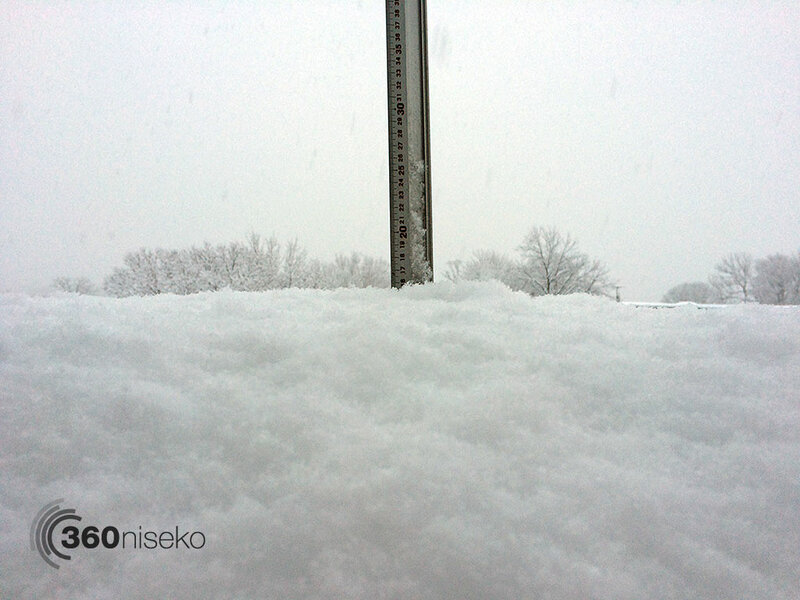 *15.5cm of fresh snow has fallen in the last 24hrs in Hirafu Village. At 7:00 today the temperature was -3°C. The snow just keeps on piling up! This morning we could have blown the 15.5cm of super light powder off the snow station. We have now had 7 days straight of snowfall in that time we have recored 135.5cm of accumulative snowfall! Got to love Niseko – delivering the goods again…and again.